If you earned a dime for every time a dental hygienist reminded you to floss – or told you that you could do a better job of flossing – you’d own an island by now with a fleet of yachts to get you there. Truthfully, you don’t have any excuses for not flossing. It doesn’t take that long, it keeps you from getting all kinds of nasty tooth and gum diseases and keeps your smile looking good. 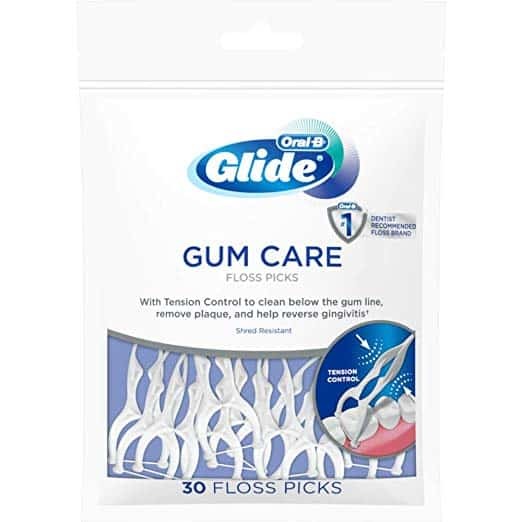 And, besides, there several options for flossing, including floss picks – which we’ll cover in this review. Floss picks represent an effective way to floss, and there are plenty of quality picks on the market, including our top choice, DenTek’s Complete Clean Floss Picks . We’ll review five other best floss picks and compare picks to traditional string floss and water flossers. Disposable picks are meant to use only once, or at most, a few times before you toss them out. Like disposable razors, most come in a package with several floss picks. 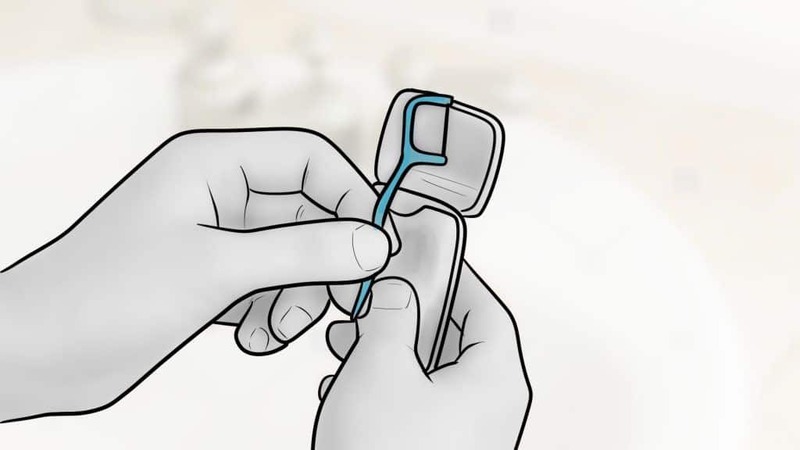 Refillable picks, on the other hand, feature heads that allow you to remove the floss and replace it with a fresh strand. Some floss picks come with no-slip grip handles that make them easier to hold. It’s a nice option to have, including if you have issues with manual dexterity. 3. High tech or no-tech? There are battery-powered floss picks available that not only remove debris and plaque from between your teeth, but also massage the gums. What’s on the bottom of the pick? Many dental floss picks come with an ending that comes to a point and acts as a toothpick. Some even have an area that acts as a tongue scraper. Dental floss picks typically come in two shapes: curved and flat. A flat floss pick looks like a harp but is harder to use in the back of your mouth. You may not have the luxury of choosing the thickness of the floss when buying disposable dental picks, but if you do (and if you use a refillable pick) choose a thicker floss if you have larger gaps between your teeth than normal. Waxed floss is easier to use if the spaces between your teeth are tighter, and if you have braces or other dental work. But many other users prefer unwaxed. Make sure that the floss you choose has the American Dental Association seal of approval. That means the ADA reviewed the product and deemed it effective and safe. 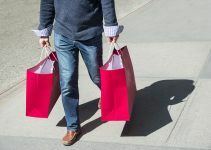 Now let’s take a look at our reviews of the best floss picks of 2019. Tight teeth require tough floss. 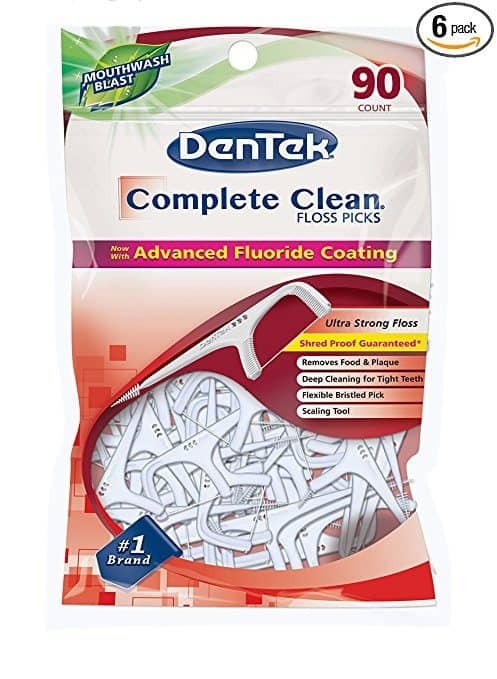 With DenTek’s Complete Clean Floss Picks – the best floss picks for tight teeth and our favorite for the best picks overall – you can floss between even the tightest of tight spaces. What’s more, DenTek’s Complete Clean picks have stronger handles, which is a plus when dealing with tight spaces, as well as floss that’s guaranteed not to break – an even bigger plus. Most of us understand the frustration that comes with breaking floss between our teeth and having to A) start over, and B) get the stuck piece of broken floss out from between our teeth. That said, DenTek Complete Clean picks aren’t just for people with tight teeth because everyone will benefit from using them. The floss is textured, with a unique criss-cross thread, and designed to pick up plaque and bits of food that stay stuck between your teeth. The pick is flexible, which allows you to reach hard-to-get areas – always something to consider when choosing a floss pick – and also features a tongue scraper that allows you to remove surface debris. While one would think that floss that’s guaranteed not to break would be a bit on the rough side, the DenTek floss is smooth and glides easily between your teeth. Just use a simple in-and-out motion to remove plaque and debris. DenTek’s floss picks also have a cool, minty flavor that leaves your mouth feeling. Each pack comes with 90 floss picks. The DenTek Complete Clean floss pick is for people with tight spaces between their teeth but also for anyone who is looking for a thorough cleaning that removes even the most stubborn plaque and other debris. Breakage, or lack of breakage, that is, is a key selling point for makers of dental floss picks. It’s one of the reasons to give Glide’s floss picks a closer look, but also one of many. Oral-B is no newcomer to the floss game and they’ve put a lot of research and technology into their products, including their Glide Pro-Health dental picks. The Pro-Health picks represent a step up from previous versions and are among the best floss picks for tight teeth. According to Oral-B, the Glide Picks floss has a 90% more textured surface area than before but is still smooth enough to fit between the tightest areas of your teeth to remove plaque and food particles. 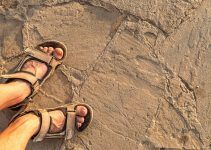 The picks are also said to slide twice as easily between tight teeth than before. That’s a pretty good starting point for any dental floss pick, but there’s more. For one, the Oral-B floss picks come with Glide’s clinically-proven protection against gingivitis, cavities, and bad breath and are a key addition to any comprehensive dental plan. 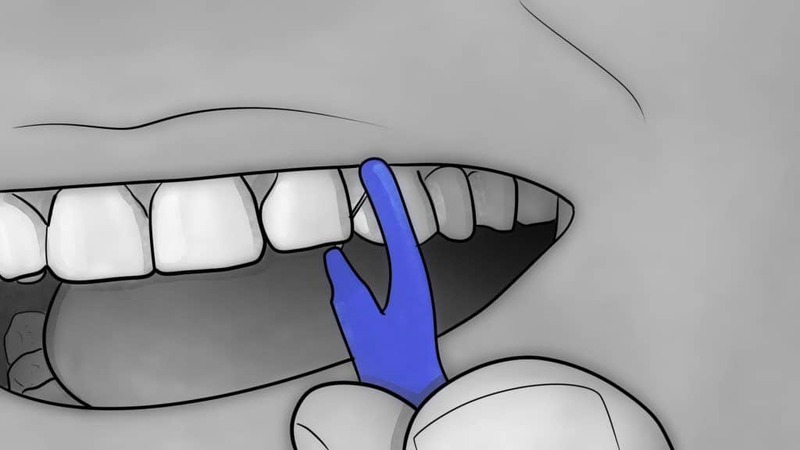 For another, you control the tension by squeezing the pick so it slides easily between teeth. You simply squeeze the floss to get it between the spaces, then let up to reach more tooth surface. The floss is also shred-resistant, as mentioned, with users saying that had to apply serious pressure just to get it to break intentionally. Users and reviewers also say that they’re able to difficult-to-clean places in the mouth, such as the rear of the mouth, because of the shape and size of the pick. Again, you can adjust the tension of the floss by squeezing on the pick’s handle. There’s also a pick on the other side of the floss that’s helpful for removing larger food particles, as well as for gently scraping against the teeth or gumline. Oral-B’s Glide floss picks come in a package of 30 picks (and in a resealable bag). Oral-B customers have long sung the praises of Glide’s floss products and the Pro-Health Dental Floss picks are no exception. The floss is very strong and you’re able to maneuver the pick in and out of tight spaces. Plackers created the first dental flosser which earned a patent over 40 years ago. They’ve obviously come a long way since then – not that the first flosser was a bad product, mind you – and their Micro Mint Dental Flossers are among the best floss picks available. They’re also among the strongest. One of the key features of Plackers’ Micro Mint Dental Flossers is that their floss consists of Super Tuffloss, which is engineered never to break and considered to among the strongest floss on the shelves. Not only won’t it break, but it won’t shed or stretch. Some say it’s so tough that it’s tough to cut with scissors. The people at Plackers say that Super Tuffloss is only available in pick form because it’s too slippery to hold with your fingers and use in the traditional between-the-fingers way. The floss, perhaps because of its slipperiness, slides easily between teeth to reach even the hardest-to-reach plaque and food particles while massaging the gums. The floss’s mint flavor leaves your mouth and gums feeling refreshed. If you’re on the go and without access to your toothbrush, the Plackers’ flosser is a good option because of how easily it gets rid of food particles while refreshing your mouth. The flosser also includes a toothpick that folds out from the handle and then folds back in to protect it when not in use. Plackers’ products are manufactured by Placontrol, said to be the world’s largest manufacturer of dental floss. They put a lot of time, money, and research into their products while always striving to improve their existing floss products. They also work with dental professionals and pharmacies to raise awareness of regular flossing and preventive dental care. OrthPick Flosser that features a thin flosser arm that slides between teeth and wires associated with braces and bridgework. Plackers also makes toothbrushes designed for children who are first learning to brush their teeth on their own, as well as night protectors that protect against night-time teeth grinding. It’s hard to beat the Plackers Micro Mint Dental Flossers for all-around dental care, as well as all-around strength. You’re able to floss your entire mouth with one flosser and they’re great if you’re out and about and without access to a toothbrush. One of the things that set FAMILIFE Dental floss picks apart from the others is that is its floss thread. 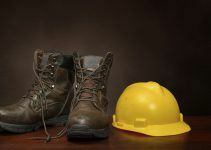 The thread consists of Ultra-High Molecular Weight Polyethylene (UHMWPE) that is said to be finer, slipperier, and tougher than most floss strings. FAMILIFE’s floss also causes less friction – which means less potential damage to your teeth – and has a silky, comfortable feeling that’s more akin to floss tape than traditional string floss. The FAMILIFE floss picks also come with a sturdy handle that’s easy to grip and doesn’t slip through your fingers while providing all of the support you need. While you may not have heard of FAMILIFE, at least not to the extent that you’ve probably heard of Oral-B and others, it’s a major producer of dental floss and has approval from the U.S. Food & Drug Administration. They distribute their products worldwide. Of course, we wouldn’t consider a floss pick for our best-of reviews if it didn’t help keep teeth clean while removing food and plaque. Rest assured, FAMILIFE’s floss provides thorough cleaning while the textured pick located at the bottom of the handle helps you get a deeper clean between teeth while stimulating your gums. FAMILIFE Unflavored Dental Floss Picks also come with a handy travel case so you can use them while on the go. FAMILIFE’s floss picks represent high quality and superb engineering and manufacturing. The floss is one-of-a-kind that provides a thorough cleaning of the teeth and gums. You could say that the piece of floss is the most important part of the floss pick and not get much of an argument in return. But don’t forget about the handle. The folks at GUM certainly haven’t, as evidenced by the thought and engineering they put into the handles of their Professional Clean Flossers. The result is a handle that’s easier to grip, that has a widened finger rest for further comfort, and is easy to maneuver within your mouth as floss from tooth to tooth. You’re also able to hold the floss at the right tension while sliding into position in your teeth and under your gumline. It’s no wonder why the GUM Professional Clean Flossers get hundreds of positive reviews. Of course, the handle is only so good if the floss doesn’t hold up to a high standard, and GUM’s floss passes every test. Their floss has a satin-like finish that slides easily between the teeth and doesn’t break easily. And, as good floss should, it protects your teeth against plaque and other bacteria that can lead to gingivitis and other dental problems. Another reason we include this floss pick on our list is that the handle makes flossing easier for people who wear braces, have bridgework, or other types of dental work. If you wear braces, or your child does, you understand the challenge of flossing around dental work. Toothbrushes take care of some of the heavy lifting, as does traditional string floss, but there are all kinds of nooks and crannies where bacteria can hide. For some people with braces, the challenge of flossing thoroughly sometimes becomes so heavy that they begin to consider whether they should floss at all. Not to fear, however, because tools such as the GUM Professional Clean Flossers can help, thanks in part to the pick end of the handle that helps dislodge food particles between tight teeth. GUM flossers make flossing easier and work well for people with braces and other dental work. It’s simply a good all-around flosser that’s worth your investment. You may have read recently about large areas – and “large” is an understatement – areas of the ocean floor covered in plastic. Plastic is everywhere, it seems, and the planet may be telling us that it can only hold so much of it. Because most floss picks, and regular floss containers and dozens of other dental products, are made of plastic, it’s not a stretch to suggest that they’re part of the problem. Fortunately, Australia-based PearlBar offers an eco-friendly solution. PearlBar’s Planet-Loving Charcoal floss picks are made from biodegradable materials – including charcoal-infused floss – that break down naturally without adding to the acres of plastic already out there. They’re also good for your teeth and, environmental-friendliness notwithstanding, is a big part of the reason that they’re on our list. First, the floss has a wax covering that adds extra strength to prevent the floss from shedding or breaking. It’s also charcoal-infused, which may sound odd, but you’ll find activated charcoal in a variety of grooming and hygiene products. Charcoal is good for your oral health because it enhances blood circulation, detoxifies and deodorizes your mouth, and stimulates the gums to help prevent cavities, gingivitis, and bad breath. Moreover, the charcoal used in PearlBar’s Planet-Loving picks is antibacterial and also helps whiten teeth. Finally, the activated charcoal contains no toxins that are harmful to your mouth or body and doesn’t contain chemicals that you find in many dental products. The floss holder also includes silk bamboo, another material that’s easily biodegradable, while the even package it comes in biodegradable. You simply plant the entire lot into the soil when finished and nature takes care of the rest (PearlBar says that all of it will biodegrade completely in six months). Each package contains 30 packs and the floss has natural mint flavoring. In short, all of PearlBar’s products are 100% vegan and cruelty-free. 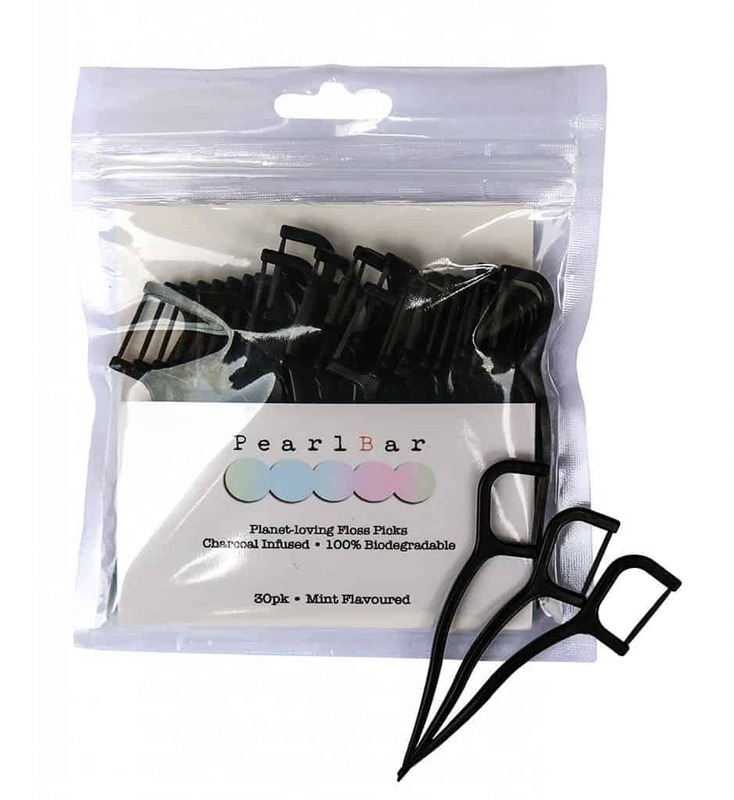 If you have your eyes on a search for an eco-friendly option for dental floss picks, then PearlBar’s floss picks are worth a serious look. You’ll keep your teeth and mouth healthy and the planet happy. In some ways, using a floss pick is easier than using traditional dental floss. After all, you don’t have to wrap a length of floss around your finger and create a new, fresh length after you’ve flossed a couple of teeth. Hold the floss stick between your fingers with a firm grip to keep it from slipping. Some picks come with handles that making it easier to hold them. Move the floss between your teeth with a gentle up and down motion. Don’t use too much force or you may cause soreness and bleeding gums. Use a gentle sawing motion as you work from one tooth to the next instead. Let the floss wrap around your teeth while curving up into your gum line. Again, don’t force the floss up and into your gums, but use a motion that’s firm enough to remove plaque without irritating the tissue. 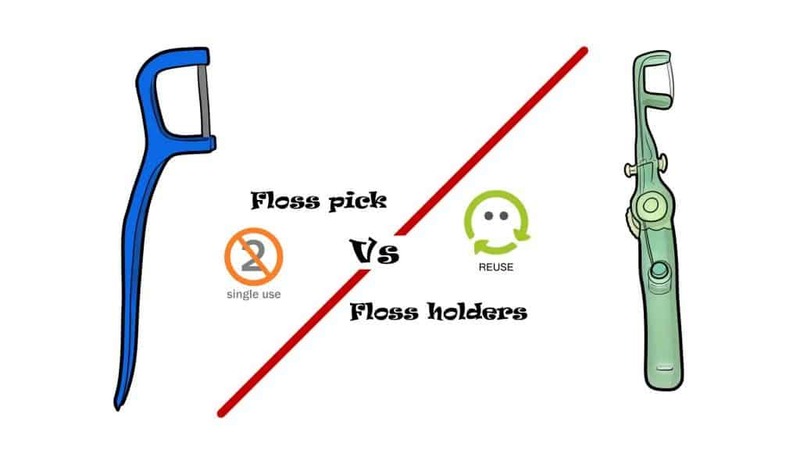 Don’t reuse your traditional floss pick! Sure, it’s tempting to use your pick more than once as a way to make your supply last longer but it’s not a good idea. Bacteria and plaque build up on the floss and you’ll re-introduce them to your mouth if you use your pick multiple times. Floss holders, however, are reusable because you’re threading your floss into the pick. String floss used to be the only game in town – or, at least the predominant one – before floss picks and water flossers gained popularity. Let’s not forget dental tape, either. Dentists say they’re often asked what method is best, string floss or water floss. Some will answer by saying that whatever method works best for you and your teeth. All of them say it’s important to floss no matter what method you use. We’ve already talked at length about floss picks and what they are – a small, plastic device with a piece of dental floss threaded through its opening. They’re a newer kind of interdental cleaner but they’ve become popular because of their ease of use. A flosser pick’s plastic handle makes it easier to hold and eliminates the need to wind and rewind the floss around your finger as you do with traditional string floss. Flosser picks are portable and easy to keep in the office, in your purse, etc. Then again, traditional floss isn’t exactly hard to carry with you. Floss picks are a good option for people who don’t have much dexterity in their hands because of arthritis or other issues. Many floss picks come with a pick at the end that’s also useful for clearing away plaque and food particles lodged between your teeth. Some products even come with a pick that folds outward from the plastic housing. Some users – and dental experts – say it’s easier to use floss picks to reach your back teeth than it is with string floss. You can find floss picks made for children, which is a good way to get kids interested in flossing at a young age. Floss picks may not be as thorough as string floss for removing food particles and other debris from between your teeth. Floss picks may be a bit harsh on the sensitive gum tissue. You need to be gentler when using floss picks. Many floss picks are made from disposable plastic and therefore not as eco-friendly. Using a single floss pick for your entire mouth may simply redistribute particles and bacteria from one area of your mouth to the other. Unless you switch to another pick, you’ll use the same small segment of floss over and over again. That’s not to say floss picks aren’t a good choice. Many people use them with good results and any dental professional will tell you that it doesn’t matter how you floss, as long as you do it. The majority of people understand the importance of flossing, for most of us, when we think about flossing, we picture a small plastic box containing string floss. By know, millions of those small boxes have helped keep our gums healthy. String floss, like floss picks, doesn’t require a power source other than your hands. Water flossers either plug into electrical outlets or, in the case of faucet flossers, rely on your home’s water supply. String floss, in general, takes more time to use than a water flosser and floss pick, if you’re flossing the correct way, that is. It can be difficult for some users of string floss to thoroughly clean between the teeth in the backs of their mouth. For some, water flossers may seem like a new gem on the market, but the truth is, they go way back. The first water flosser was introduced in 1962. Since then, they have come a long way, for sure and the number of water flosser users keeps growing. So, basically, water flosser is a device or faucet attachment that directs a steam of water on your gums and teets. The water pressure removes debris and plaque, unlike string flossing, water flossing doesn’t involve any scraping motion. For people with sensitive gums or dental issues in general, water flossing can be a good alternative to string floss. Even gum health can be improved by the massaging action of the water flosser. Water flossing takes significantly less time than string flossing, but that doesn’t mean you should rush through it. Water flossing is a more gentle cleaning approach, compared to string flossing that can cause some bleeding of the gums. 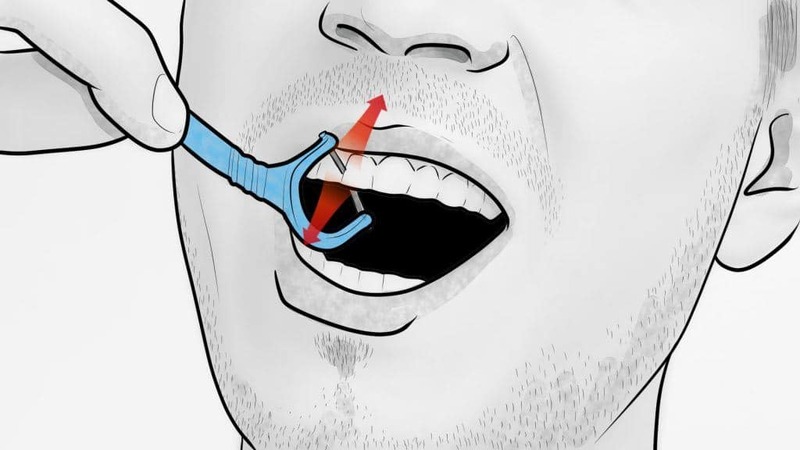 Even though string flossing and water flossing use two different techniques, most of the users find water flossers really easy to adapt to. 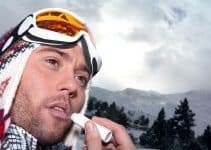 Some water flossers even come with built-in sensors that can tell you when you’ve flossed enough. 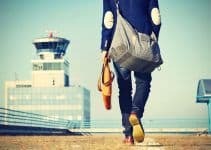 Water flosser can be an inconvenient thing to carry around, especially when it comes to travels. A small string container vs. a bulky machine? You see where am I going with this. Water flossing is easily the most expensive option among floss picks, string floss, and dental tape. There’s not much of a need to talk about dental tape in great detail because of its similarities with traditional string floss. In short, dental tape is a flatter, stretchier version of string floss and preferred by some people because they feel it slides more easily between their teeth. Others say it doesn’t snap as harshly against the gums as string floss. So, what’s the verdict? Floss picks? String floss? Water flossers? Dental tape? First, keep something in mind: dentists and oral hygienist want you to floss. Regardless of which one of these you choose – floss pick, string gloss, a water flosser, floss tape, or all of the above. Not flossing is not an option, dental professionals have done a lot of research, they have a ton of rotten and fell-out teeth – to back up their ultimatum. Research does show, in some cases, if you choose to use a water flosser, it will be more effective when it comes to plaque removal and prevention of bleeding gums and gingivitis than flossing with a string. There is a study, done by the Journal of Clinical Dentistry, where they found out that using the water flosser combined with a manual toothbrush has a 17% greater impact on plaque reduction compared to using just a string floss and a toothbrush. That’s not to say that you shouldn’t use string floss or floss picks or dental tape. On the contrary, floss picks and string floss is an effective way to clean your teeth and gums of the debris your toothbrush can’t reach. If string floss represents your primary method, just make sure you’re doing it as effectively as possible. We chose the above floss picks for our best-of reviews for a variety of reasons, including – of course – how effective they are for removing plaque and debris from the mouth. That’s the name of the game, after all. Other factors we considered include ease-of-use (some reach harder-to-get areas of the mouth better than others), as well as the quality of floss. Floss that shred or broke easily fell off of our list quickly. We also considered the handle and how easy it is to hold, and any additional features such as a toothpick included at the bottom of the handle. Finally, we studied the reviews of others, particularly the reviews of customers. Do you have a favorite floss pick? Have you tried any on your list? As always, we’d love to hear from you and welcome your comments and suggestions.